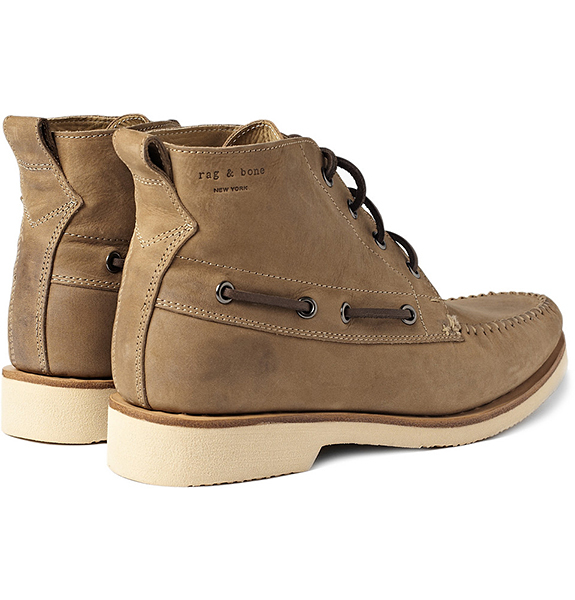 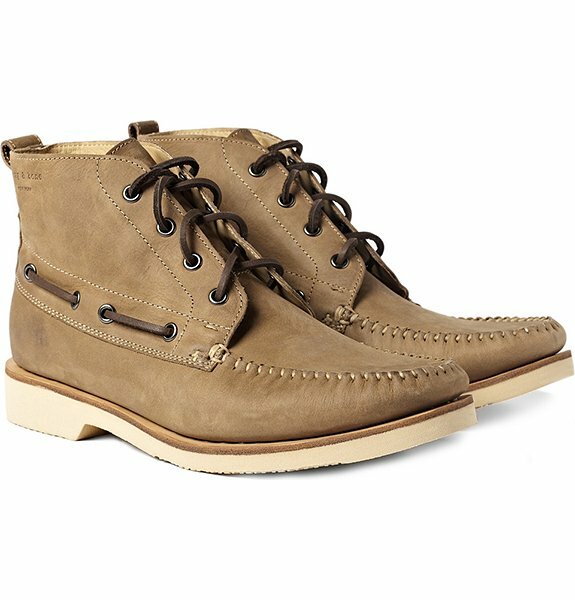 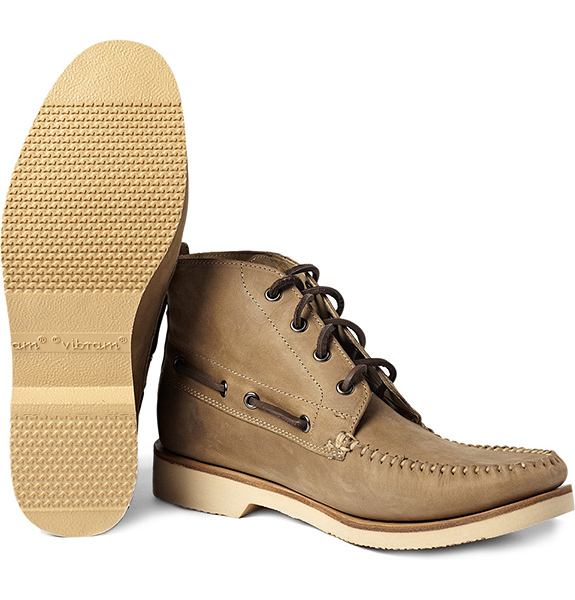 The Wakefield is a high top version of boat shoes from rag & bone. 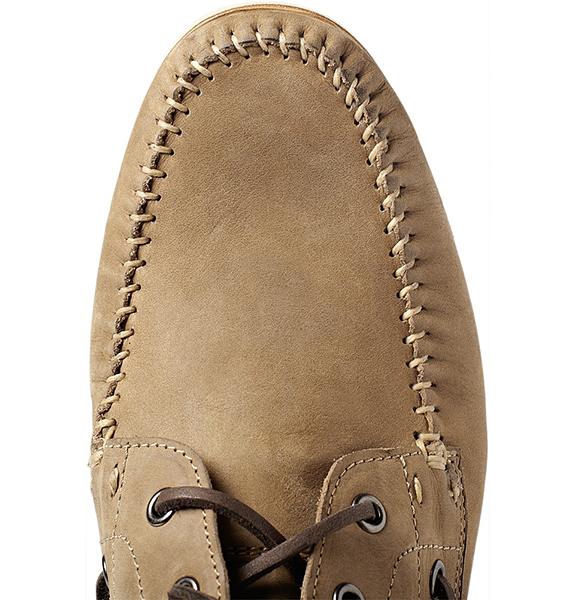 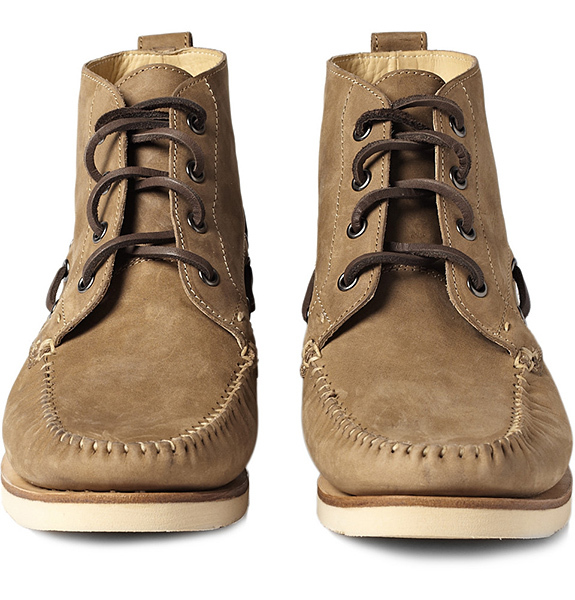 Made of leather with hide laces and moccasin stitching. 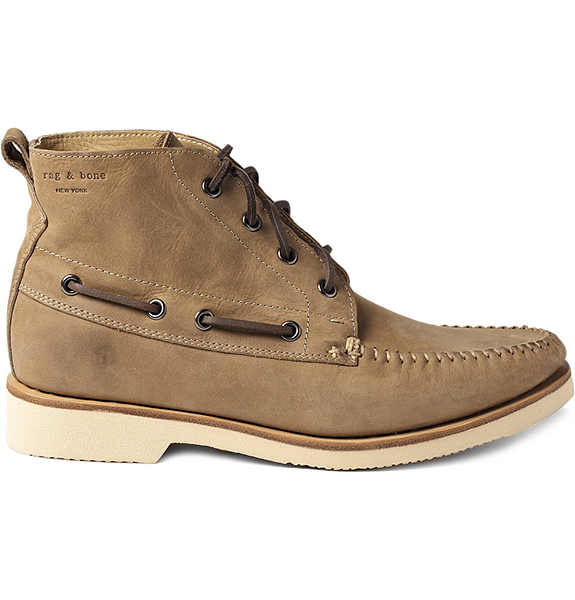 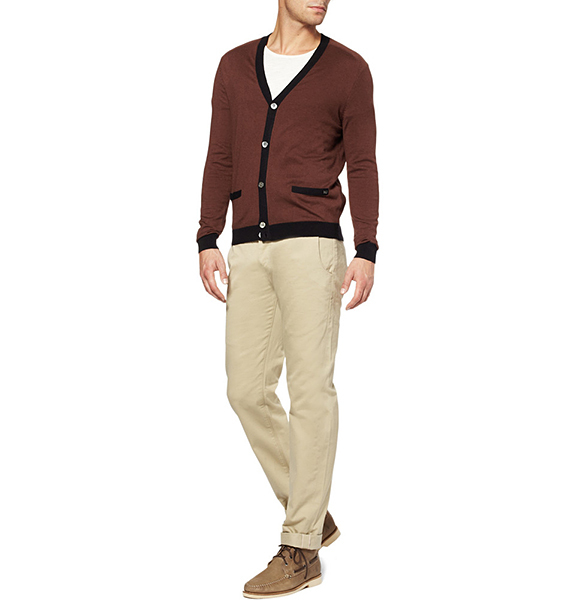 A dependable pair that fits well both outdoors and in the city.